Home #ADDICTIVE Cops & Robbers 2 – Chase or be chased! 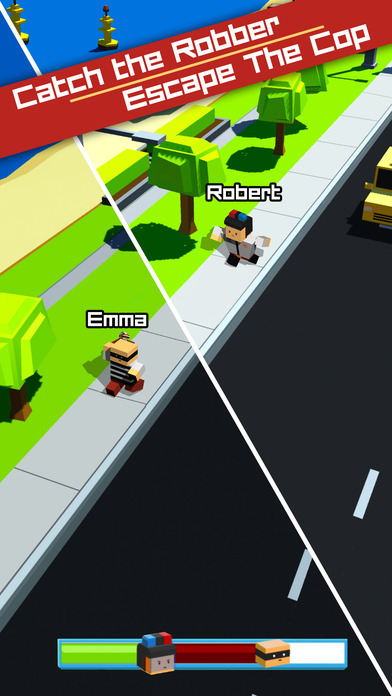 Cops & Robbers 2 – Chase or be chased! Set in a bank you explode using dynamite(!) 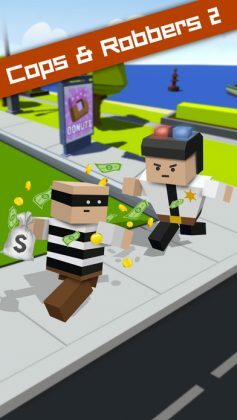 your mission in this game is to either escape from the scene before getting caught or catch the Robber before he manages to escape to his getaway car. Very simple. 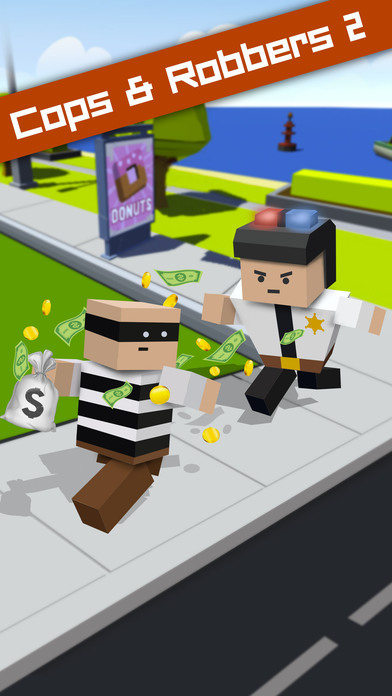 Who you play as – either the Robber or the Officer – is left pretty much up to chance and is decided for you before the start of each run. 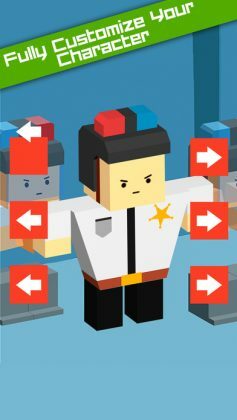 Whether you play as the Robber or play as the Officer what you do is essentially the same. 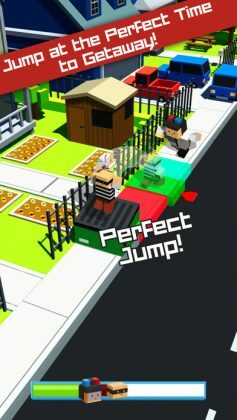 As your player dashes down the street, you will be required to tap on the screen of your device to jump over obstacles in order to avoid tripping over and losing valuable time! 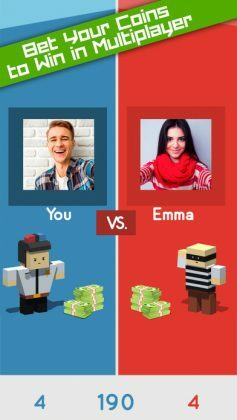 If you’ve followed along this far, you are probably wondering how this game is any different to any of the other runner games you’ve played, and the simple answer is Cash! Before each game, you will be prompted to bet a given sum of money you will either win and double or lose entirely! With a “slightly terrifying” gameplay system, multiplayer functionality, and fully customizable characters, Cops & Robbers 2 is a game you’ll want to check out.